Bedarwals Group – Get updated News, Blog post, New Project review of Residential and Commercial Projects of Bedarwals Group. If you are bored of your age old type of homes then this is the high time to think towards decorating it with new enthusiasm and give your entire family something interesting to see smile on their faces. I think nothing as important as the happiness of our family. Modern developers have understood this thing properly and that is why they are coming with so many different types of constructions like residential, commercial and official hubs. They are acting like mind reader by creating exact your dream like projects. Well if you are planning to change your abode in order to get more space, better locality and connectivity then ‘Bedarwals 63 Golf Drive’ will be perfect for you. It is located in Gurgaon which is developed a lot in the last 10 years to settle so many IT and known companies here. Even you can see that most of the big companies are there in Gurgaon only therefore, if you buy a property here then you will secure an opportunity to have a good job along with a good property investment. The most catchy thing about this investment is that here you wouldn’t have to loose your pocket much as it is an affordable housing plan, which is approved by Haryana Govt. If you didn’t make any property investment yet because of the financial issues than now you need not to think more as here you can opt for 1 & 2 BHK apartments in affordable ranges. 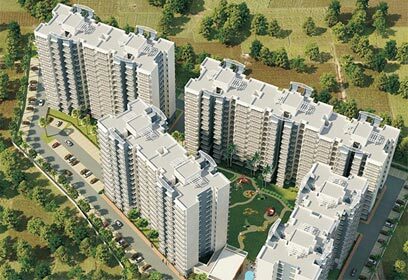 It has been created to fulfill the property need of middle class income groups. Its features and amenities are the most striking thing here as it is well developed to offer you swimming pool, jogging track, power back-up facility, water availability, lift lobby, a big playground, etc. Its developer didn’t try to meet the cost cutting by compromising on its amenities and features therefore it is perfect to give neck to neck competition to any other contemporary residential project. It is close to Golf Course Road, Nh-8, Huda City Centre to connect you smoothly to any other important destinations of Delhi/ NCR. Good health care centers namely Artemis and Alchemist are also a drive away only.